An English country hotel says it’s facing ruin after TripAdvisor suspected its management of faking a review on its website. 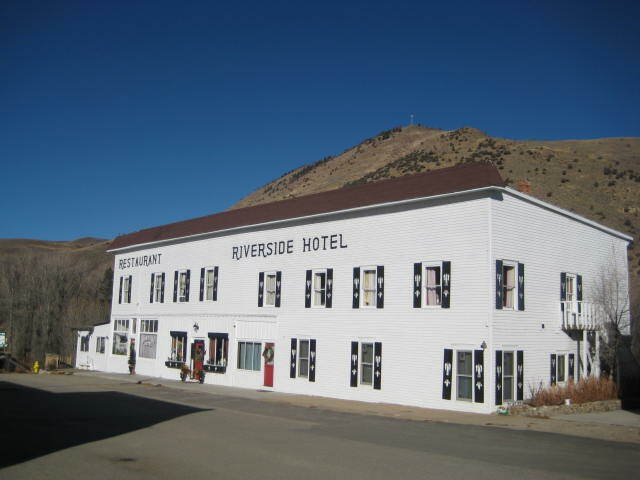 As the Telegraph reports today, The Riverside Hotel and Restaurant, in Worcestershire, England, has been red-flagged by the ratings and review website, with a warning message now appearing on its page stating that “TripAdvisor has reasonable cause to believe that individuals or entities associated with or having an interest in this property may have interfered with traveler reviews and/or the popularity index for this property”. A quick look at the hotel’s TripAdvisor’s page shows that it has received some pretty mixed reviews, some glowing and some not so. The owner says she’s been forced to cut her prices by over two-thirds since TripAdvisor’s warning message was posted. Although this recommendation is in place, a customer isn’t likely to read the finer print if they’re looking to write a quick review, so there isn’t an easy way to know for sure who the source of a review is. Similarly, a more on-the-ball hotel could quite easily post a false review from an external computer, thus bypassing the IP issue. 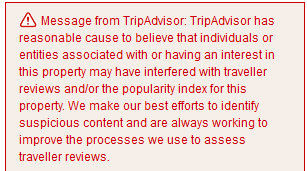 This has led some to question TripAdvisor’s methods of stamping out fraudulent feedback. Earlier this month, it was reported that the Advertising Standards Authority (ASA) was investigating TripAdvisor, following a complaint it received from a company called KwikChex. It argues that claims on the website such as ‘reviews you can trust’, ‘read reviews from real travellers’, ‘TripAdvisor offers trusted advice from real travellers’, among others, are misleading and can’t be backed up. Back in June, we reported that an Irish hotel was suing Google over an auto-complete option that suggested it was going into receivership. The Ballymascanlon Hotel, in Dundalk, took umbrage at the suggestion the hotel could be going into receivership, after receiving telephone calls from brides-to-be, who had booked the hotel for their wedding. The auto-complete suggestion was later removed by Google.